I have to say, I'm a firm advocate of Japanese engineering and technology when it comes to adventure and dirt/dual-sport bikes - they might not be 'cutting edge', but that's exactly why I like them - they're proven, reliable and the work - and I don't like spannering on bikes unless I absolutely have to. So taking a punt on a 'euro' ADV bike is going to be all very new to me! 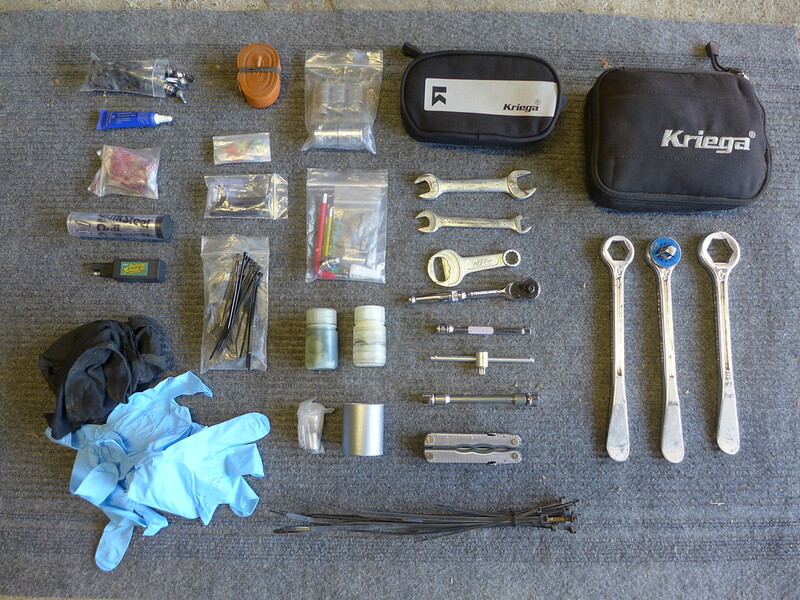 As a good number of you reading this will already be aware, over the past few years I've been involved with developing the Rally Raid Adventure [wheel and suspension] kit for the Honda CB500X, and at the end of 2015 - after I'd ridden one across the USA and back again - including the full length of the Trans-America Trail - I bought my own bike and fitted the spoked wheel and +2" suspension kit, and created what I consider is the best compromise (ie. 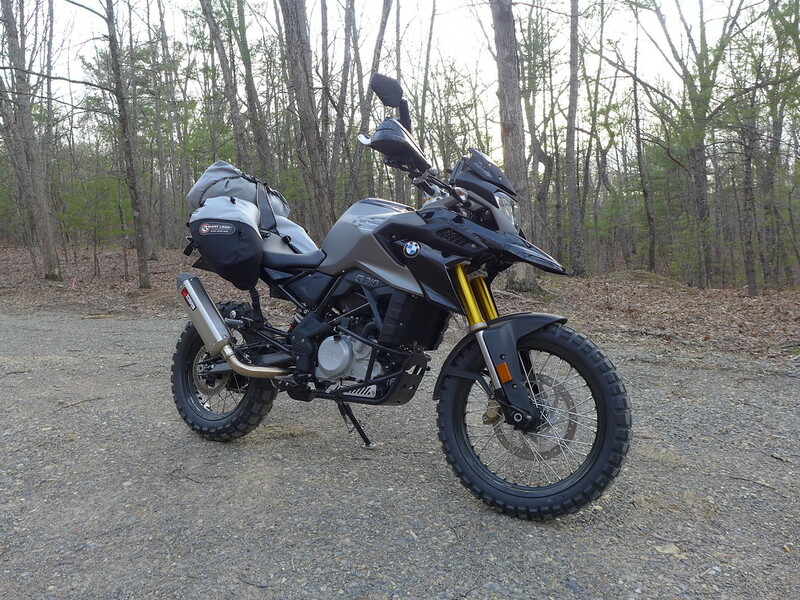 a genuine 50/50 bike that is equally capable both on road and off) adventure bike, certainly for the kind of long-distance adventure riding I like to do all over North America. So in that regard, I'm willing to give this new 'baby' BMW a try... especially as John (at Rally Raid) has been working on a series of similar wheel and suspension upgrades that I have fitted to my Honda, for the budget BMW - to give it the kind of high-quality on and off-road performance you'd expect from a brand that has built it's reputation on being 'adventure' ready, if not all that appropriate - especially the larger 1200cc ones! - but at least with this bike, the basic donor would appear to offer a lot of what the unicorn hunters are looking for? 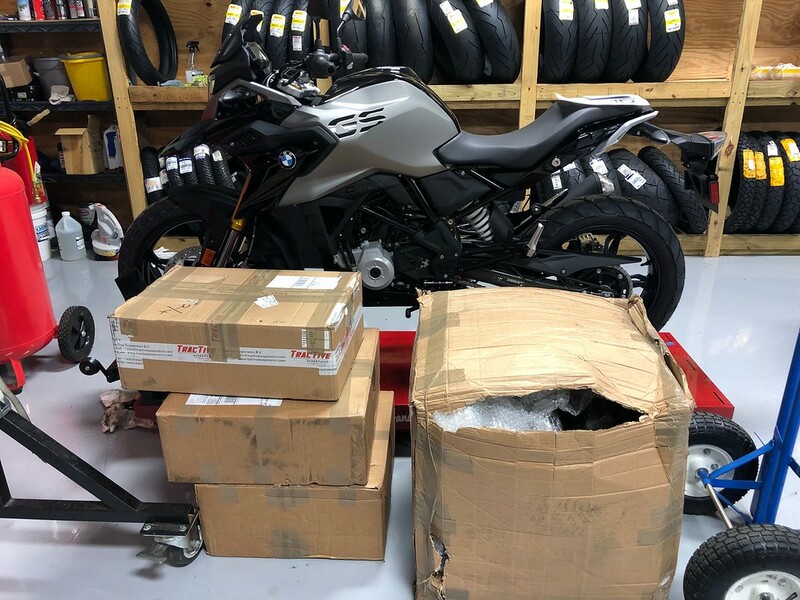 As a quick run-down of the basic bike shows similar overall dimensions to my own LEVEL 2 Honda CB500X - similar short wheelbase, ground clearance, 17/19" wheels and 7" of travel front and rear. However, where the 310GS immediately impresses is that is is a good 25Kg lighter in weight than the CB, albeit is also has around 33% less capacity and corresponding power from it's 313cc single cylinder engine, compared to the Honda's 471cc parallel twin. Fortunately, the six speed gearbox in the BMW offers a reasonably wide range of ratios, and it geared for cruising at around 70+mph, with a little more for over-taking (it officially tops out at around 90mph/140kph), so other than at high altitude and/or into a headwind, I'm expecting reasonable brisk on-road performance from the little tyke. And yes, I say 'expecting' because I've only actually ever ridden one about 200 yards in 2nd gear on a cold frosty morning in the UK last month - so I honestly have no idea how this bike is going to ride in comparison to the CB - although I have it on good authority from Adam Mitchinson (from Rally Raid Products) who rode one for over 5000kms in the Australian outback recently, that it's actually a very impressive trail machine, and immediately grows on you - much as the CB does. 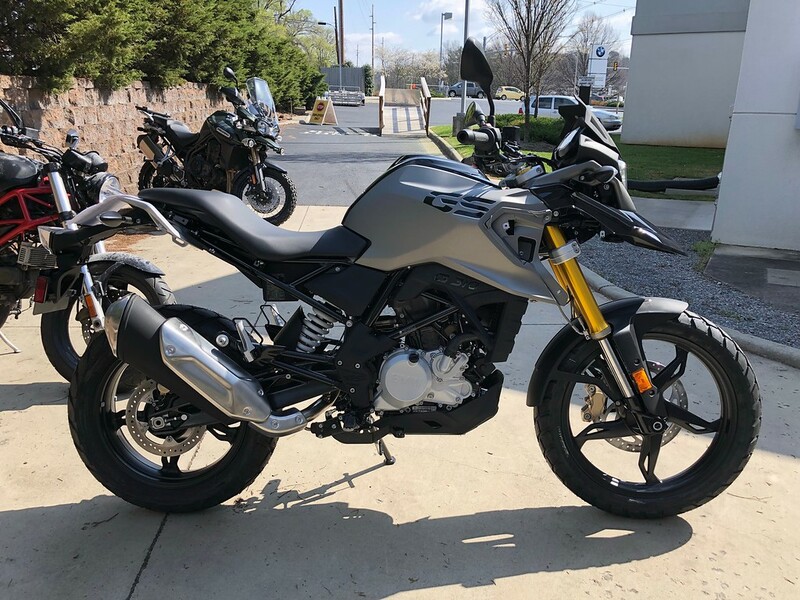 So a couple of months ago I took a punt, and put a deposit on a brand new G310GS at a dealer in Virginia. The reason I bought one on the east coast is that my initial plan is to ride it back to California (where I'm based when I'm in the USA) across the country - on and off-road, proving it's all-terrain abilities much as I did with the original Rally Raid CB500X back in 2015 - sharing the experience with you here on ADVrider, and ultimately to then be in a position to compare and contrast just how well it performs in this sort of long-distance overland adventure role. Of course, being that little bit smaller and lighter than the CB, I will also endeavour to push the boundaries between 'adventure' and 'dual-sport' even more with this new bike over the coming weeks and months - and am confidently optimistic that for a lot of weekender style adventure riders (of which most of us are if we're honest), this bike is actually going to be a near perfect compromise - in other words, BMW have already bestowed a traditional 'trail bike' with more comfort and refinement; while Rally Raid have further enhanced it's all-terrain ability with top quality suspension performance and a heavy-duty spoked wheel-set, together with key accessories such as a substantial engine guard. So for now, I'm going to have to sign off - since I'm still in the middle of packing everything I'm going to need to not only build/prepare the bike for the journey back west, but also the gear I'll be wearing and carrying with me (including my usual compact camping set-up) into the smallest luggage system possible - as not only do Delta charge per checked bag, but I really don't want to leave anything behind, nor have to shelp unnecessary stuff with me on the bike back home. 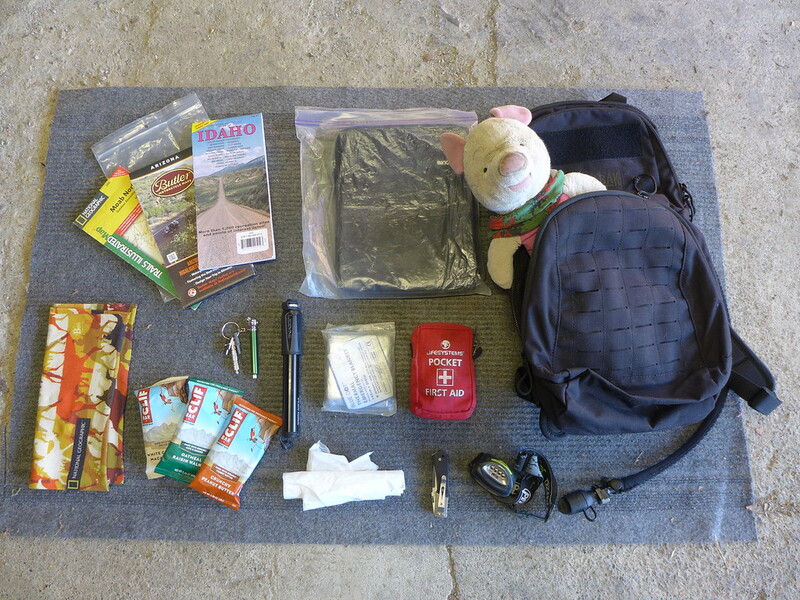 I get the feeling this is going to be another epic adventure piglet - time to get in your papoose! bajaburro, Corasaurus, KLRalph and 18 others like this. Interesting. I'm watching the small-ADV segment with an eye to the future - I almost pulled the trigger this spring; pricing out a 310 against a Versys 300. Sat on the Versys; very good ergos. No 310 to be seen. But this was not the year. I came across a NOS Versys 650 for less than either; and I have Sylvie, the GL500. I can't just dump her like...oh, like an old castoff motorcycle. I'll let her die a natural death, or go in a blaze of glory; and then there will be room in the garage for a baby. I'm getting older, too. The lighter-weight ADVs are the ticket - I will NOT go with a trike. So long as I have the ability and means, I'll ride; and there are worse things than riding small. Roads and Trails likes this. 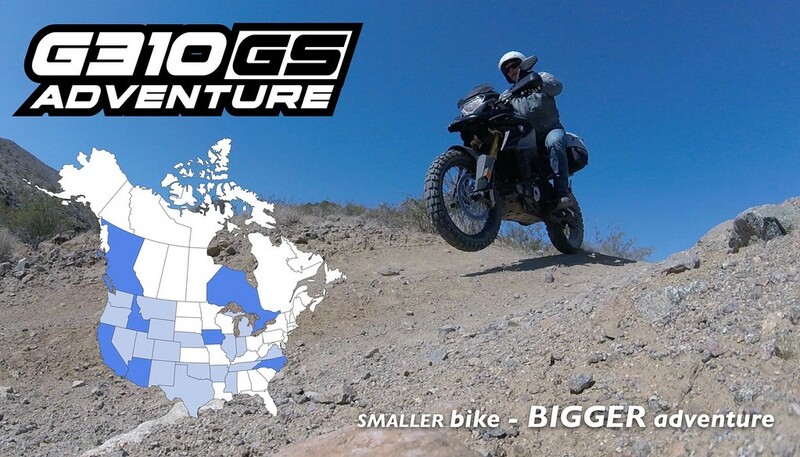 Part of the reason I'll be racking up so many miles on this new GS this year is that I've committed to presenting a series of slide-shows and seminars at a number of overland events this summer all over the USA and Canada. Below is a list of those already scheduled, and if you're planning on attending any of these meetings and events yourselves, of course I'd be delighted to meet you - whether you're interested in the new BMW specifically, maybe want a few hints and tips for Packing Light, or are interested in the CB500X and how it handled my big trip last summer exploring the northern US states and Canada. April - Horizons Unlimited Virginia (Appomattox VA) 26-29th April 2018. 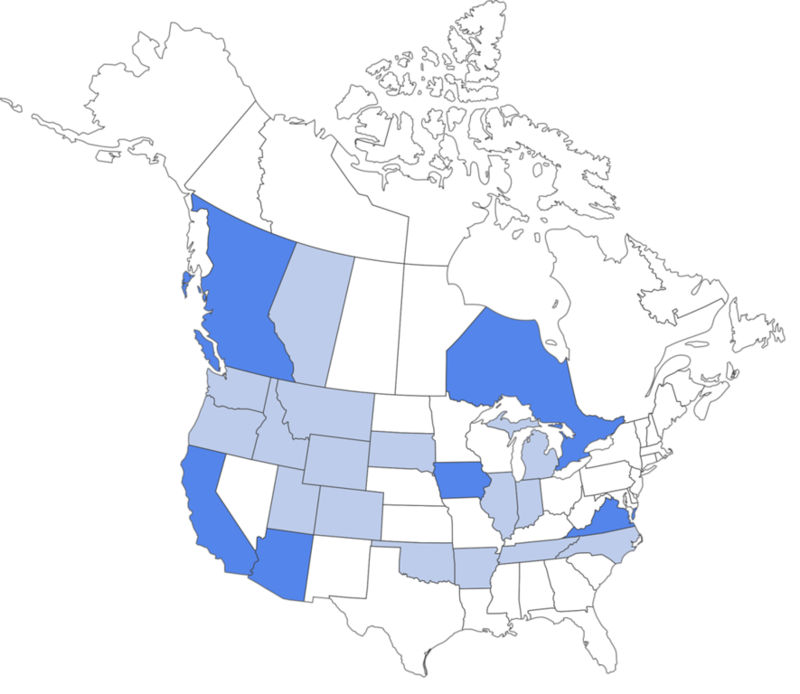 This will be the US debut of my new AV presentation: Northern eXposure which features highlights from my extended trip through Canada and the northern/centre United States on my CB500X last year. It will also be the official debut for the Rally Raid G310GS kit in the US. May - Overland Expo West (Flagstaff AZ) 18-20th May 2018. Yep, less than a month later, I'll endeavour to be over at Overland Expo in Arizona, and you know what that means - another huge cross-country trip in between! August - Horizons Unlimited Canada West (Nakusp BC) 23-26th August 2018. I'm really looking forward to revisiting and exploring more of British Columbia again this year - plus the opportunity to present at the Horizons weekend too of course! By the time I arrive in BC I will also have racked up a few more thousand miles on the little GS, and hope to have some entertaining video of my further exploration of Montana and Idaho - in conjunction with my good friend and esteemed YouTube videographer Blancolirio (Juan Browne). September - Horizons Unlimited California (Mariposa CA) 27-30th September 2018. Currently this is my last scheduled [presentation] event in 2018 - that is not including any additional dealer events, or the possibility I might head down to Baja with the GS in October... by now I hope to be able to debut a brand new AV presentation about this summer spent on board the new GS, piecing together the series of challenges together with some hopefully inspiration travel and adventuring. Hope to see some of you along the way! KLRalph, Nanuq, MewZiKat and 6 others like this. FLHTK, TTGator and chudzikb like this. In, anxious to read and learn all that you pass on. Oznay, thechief86, Don T and 22 others like this. Actually, I might even change the title to that anyway, I think I prefer it! slime and enduro0125 like this. I'm planning to ride my CB500X to HU VA--will look forward to your presentations. photo. New Icon Raiden gear - this is currently my favourite style of adventure/dual sport jacket - it just works so well. The boots are the new Patrol 2 (complete with 'Marty McFly' lacing) - very lightweight, so great off the bike too. 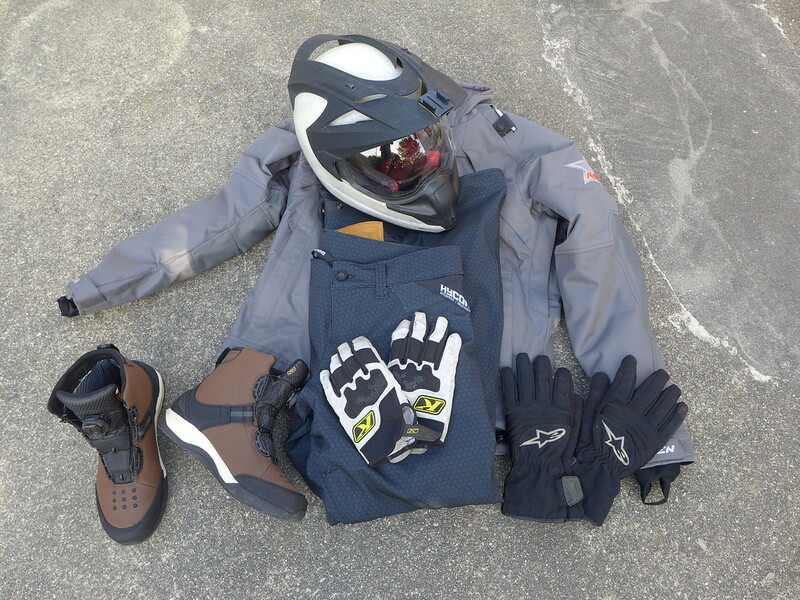 Personally I prefer suede palm gloves - hence the Klim Dakar and my trusty Alpinestars wet-weather option. photo. Piglet gets a new papoose too! This is the Mil-spec Camelbak Mule - enough room for Piglet and my iPad, snacks, essentials, plus 3 litres of water and some maps. I'll have a few photos of my luggage once I manage to work out how to stash everything I'm going to need to take with me on the plane without falling foul of the TSA rules! slime, Hi-De-Ho, visualizerent and 8 others like this. ...and just wait until you see it with the tail-chop and the black spoked wheels - I can't wait to get my hands on it now! Chief645, slime, Hi-De-Ho and 8 others like this. Oooooh! I like the black paint! Hee hee - I know right?! Hi-De-Ho and Foot dragger like this. Photo. I couldn't resist hitting the dirt - with just 13 miles on the clock! There will be a full build report with plenty of photos to follow soon, but right now I really need to sleep... going to make a start on the Virginia TAT sections tomorrow! Don T, LM15, Chief645 and 27 others like this. Wow! You do pack light!